Inside the box, it includes earphones, charger, USB data cable, user manual, and warranty card. The new mobile phone is available in black or white. You might also wanna check the Cloudfone Thrill 430QX smartphone that come with two batteries on one package. The suggested retail price of this gadget is for only P 5, 999. 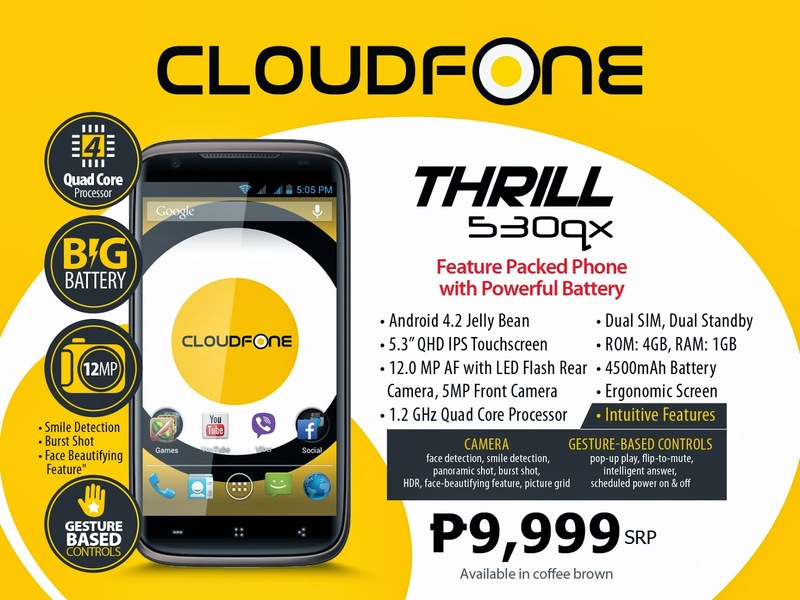 For more details, blog, unbox and review about Thrill 530QX, check out CloudFone website and their Facebook Page. Visit the nearest CloudFone store, kiosk and accredited dealers for other inquiries.